This sign communicates important information with graphics and text. 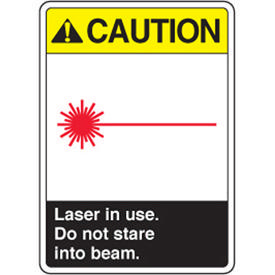 This is the perfect sign for hanging on the outside of a laboratory door when lasers are being used. The bottom of the sign says "Laser in use. Do not stare into beam."